The 24th film in the James Bond franchise, Spectre will hit theatres in November 2015. And on James Bond’s wrist once again will be an Omega. But instead of the traditional Seamaster – Bond’s watch of choice since Pierce Brosnan played the part – the Spectre timepiece is a Seamaster Aqua Terra 150M Master Co-Axial, decorated with a motif inspired by James Bond’s family coat of arms. 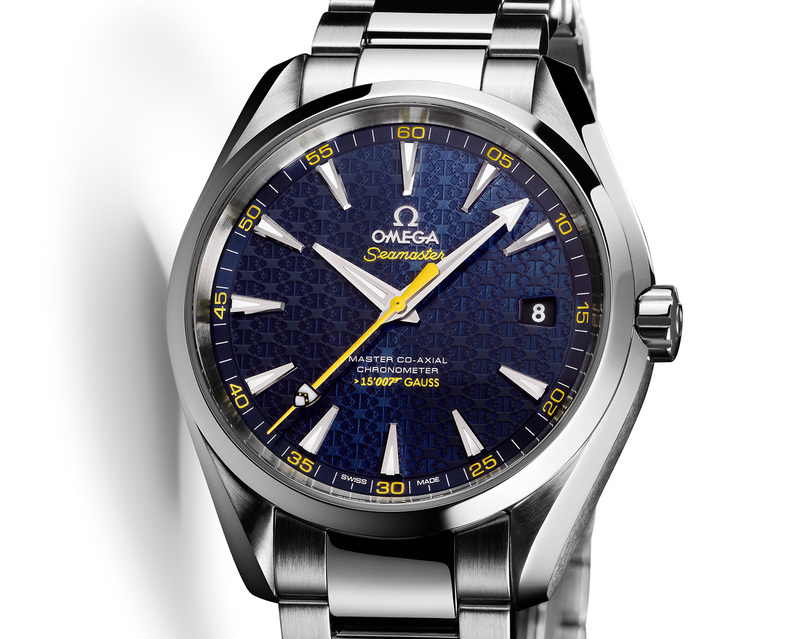 The Omega Seamaster Aqua Terra James Bond is fundamentally identical to the equivalent model in the regular collection, save for a handful of details. Bond’s family coat of arms tips forms the arrow of the seconds hand, and also forms the guilloche decoration of the blue dial. 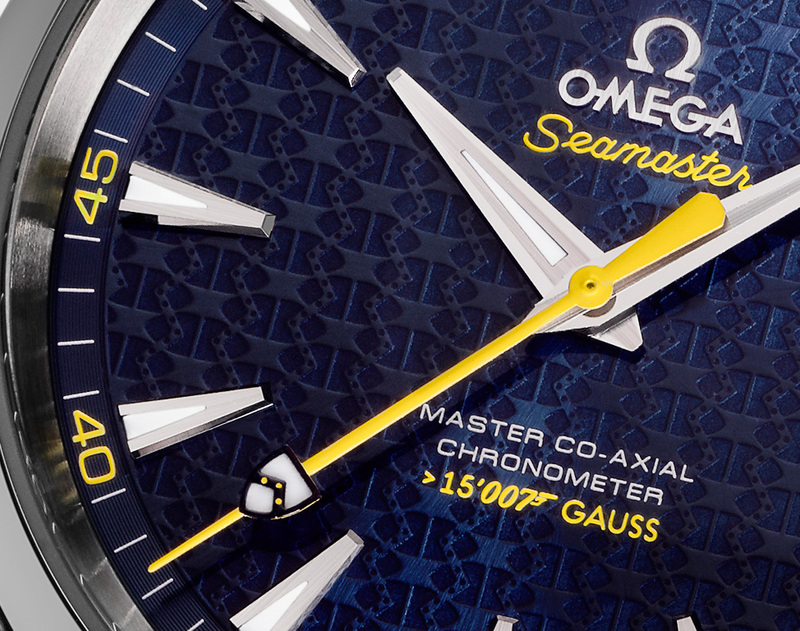 While the regular Aqua Terra is rated to 15,000 Gauss, the Bond edition reads “> 15,007 Gauss” on the dial. And the rotor of the 8507 Master Co-Axial movement is shaped to resemble the inside of a gun barrel. The steel case measures 41.5 mm in diameter, and the watch is sold with a four year warranty, standard for all Omega watches equipped with the Si14 silicon hairspring. And it is limited to 15,007 pieces – a seemingly enormous number but before considering the appeal of the Bond movies as well as the accessible price. Prices have yet to be announced but expect it to cost slightly more than the regular production model that retails for US$6500. Exact pricing will be revealed at Baselworld 2015. Update 18 March 2015: The price of the Aqua Terra SPECTRE is 9500 Singapore dollars.